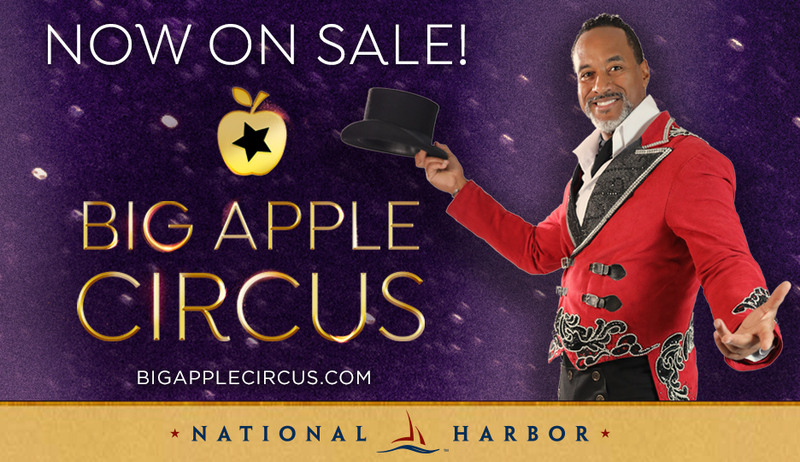 Join the Big Apple Circus for their 40th Anniversary celebration at National Harbor March 8-April 1! Each performance promises an action-packed show, filled with thrills, laughs, and a lifetime of memories. Big Apple Circus is proud to present 10-time World Record Holder, Nik Wallenda. Hailed as “The King of The High Wire” and the “Greatest Daredevil of Our Generation,” Nik and the Fabulous Wallendas promise to amaze audiences with feats of daring never-before seen under the Big Top. So, step right up! The Big Apple Circus is ready to astonish generations of guests with the world’s most celebrated acts in the circus’ most intimate setting! The Big Apple Circus is on the Plateau located at the intersection of Waterfront and St. George streets. We recommend you park in the St. George garage unless a parking official tells you to park elsewhere. Click here for parking details.